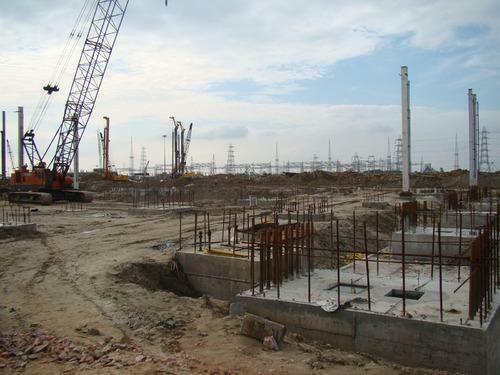 We are one of the leading manufacturer and supplier of RCC Civil Construction. We obligated to meet the quality standards as per the customer demand. Established at Vadodara, (Gujarat, India), we, “J. P. Construction & Fabrication”, are well renowned and prominent manufacturer of Roofing Sheet, Paver Block, Roofing Accessories, Fabricated Structures, Floor Decking Sheets, Air Ventilators, Polycarbonate Sheets and many more. We are the Service Provider of Infrastructure Solutions, Roofing and Cladding Solutions, PEB Fabrication with Erection Service, Steel Fabrication And Erection Services. Industrial Fabrication is a custom fabricator of stainless steel, aluminum, mild steel, abrasion resistant alloy materials, serving all industries in order to meet fabrication and welding needs. These products are comprehensive part of construction & fabrication projects and are widely used in industrial and commercial sector. We fabricate our products using high grade factor inputs and use latest technology in conformity with international quality standards. Further, the factor inputs we utilize in fabrication process are procured from reliable and certified vendors of the industry. Due to consistent performance, sturdy construction, less maintenance, technical advancements and longer service life, our offered range of products are highly acknowledged by our esteemed clients. We offer these products in different technical and physical specifications in order to meet the variegated needs of the clients. We have earned the trust of many companies over the years and have developed an outstanding reputation for dependable deliveries maintaining very tight construction and maintenance scheduling all at competitive pricing.